Total number of calls given in month : 23. 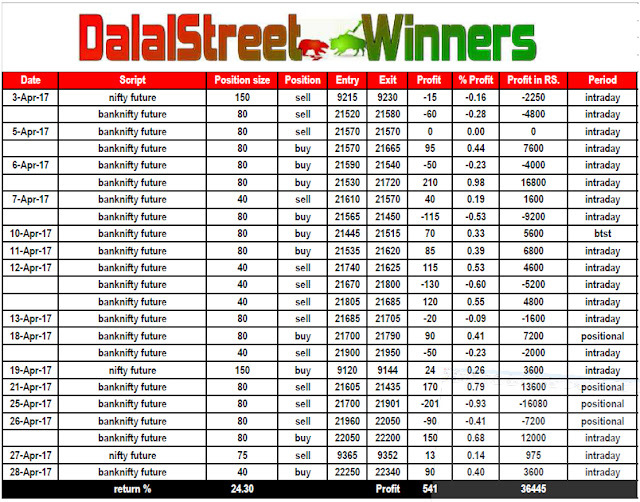 Highest profitable trade in month : Rs.+16800/-. Highest loss making trade in month : Rs.-16080/-. 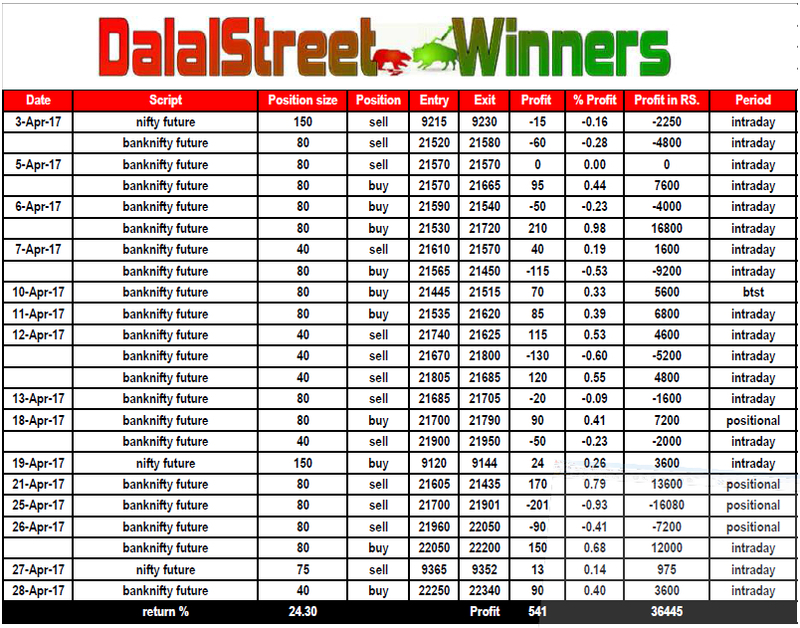 profit in month : Rs.+36445/-. return on opening capital for month: +24.3%. future tips average profit/ month : Rs. +74,700/-. future tips average return on capital/ month: +49.8%. future tips total returns on capital till now : +3185%. (64 months).